Garage Star is proud to release the jinba-ittai Decal designed by Shintaro Maeda. We currently are releasing the decals in three colors. Orange, silver and white. Decals are 5 1/2″ X61/2″. Comes in both NA and NB versions. Please specify what version and color when purchasing. Price – $7 shipped anywhere in the USA. Thanks you! More Roadster related designed will be released in the near future. Just ordered a silver one! Do you know if your going to be selling the mazida one also? Thanks! Which Mazda one were you looking for? That one! Hardparked is out of business and I don't plan to have them made. Maybe I will talk with Shintaro about producing them. Here's a photo of the three t-shirt samples. I should have them here Tuesday since Monday is a holiday. With every order you will receive a Jinba-Ittai decal. 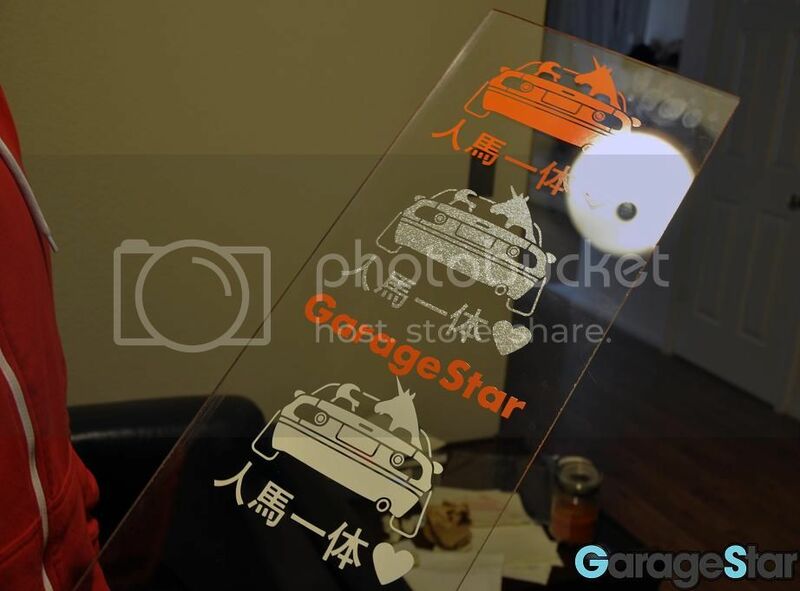 NA, NB and NC Jinba-Ittai decals designed by Shintaro Maeda are now available on the Garage Star website. GV NA & NB Jinba Ittai versions will be release very soon. Decals and shirts will be available.